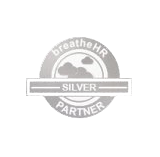 GFHR is as an Independent HR Consultancy based in Tunbridge Wells. We work with a whole range of small and medium sized organisations from a variety of industries based in South East England. Human Resources is all about people. So our business is built on strong relationships, trust and integrity. We like our clients to think of us as they would an in house HR function. We are flexible, accommodating and able to respond quickly, as and when you need us. Depending on your needs, we can support you on a retained, ad hoc or project basis. Our aim is to help you establish and manage good working practices and resolve situations that will put you in good stead for the future. From establishing policies for start-up companies and writing employee handbooks, to managing ongoing appraisals and settling grievances, we can help you all the way. We’re not afraid of dealing with the difficult subjects either. Business requires tough decisions to be made and we pride ourselves on helping companies deal with tough issues in a sensitive and fair way. We love what we do, because we know that investing in your people will put foundations in place for your company’s success. GFHR was set up by Gemma Farina in 2010. Gemma has been MCIPD chartered since 2006 and completed her CIPD Professional Qualification Scheme in 2003. She also has a degree in Sociology from the University of Leicester and has worked in recruitment, management consultancy, retail and property throughout her career. If you think we can help your business, we’d love to hear from you. Every new relationship starts with a conversation, so please get in touch.